Paprika asks me for my "login" keychain password whenever it starts. How do I reinstall Paprika 2 on my Mac? How do I obtain crash reports on OS X? My pinned recipes aren't staying pinned. 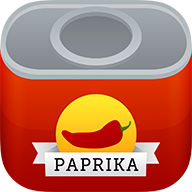 Error: "Paprika Recipe Manager" is damaged and can't be opened. When I print a recipe, it only prints the first page. Will Paprika run on my version of macOS? From the print preview screen, press Hide Details, and then make sure the page range is set to All instead of just the first page. Additionally, press Show Details and make sure Paper Handling -> Pages to Print is set to All Pages and not Odd Only or Even Only.